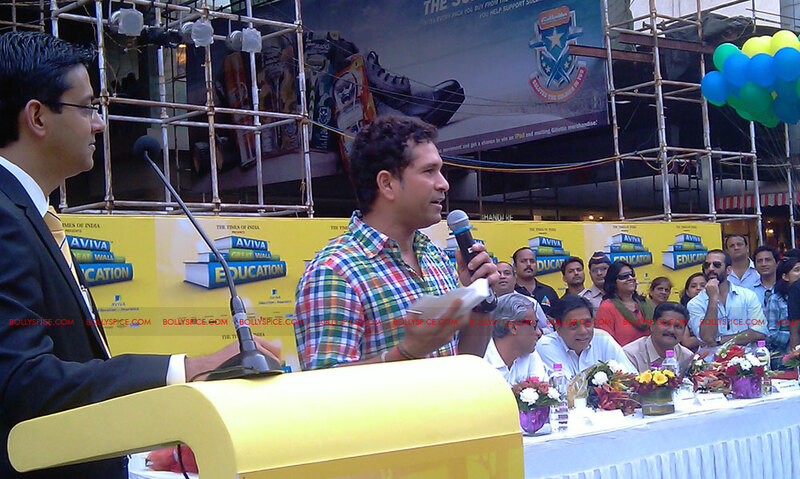 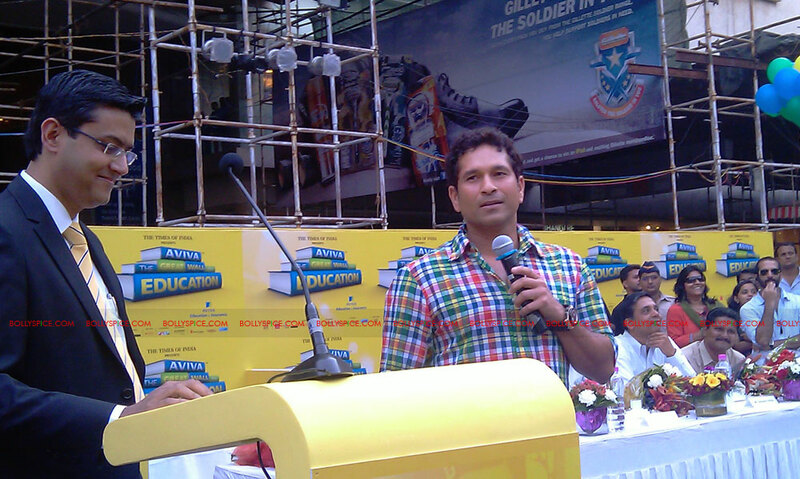 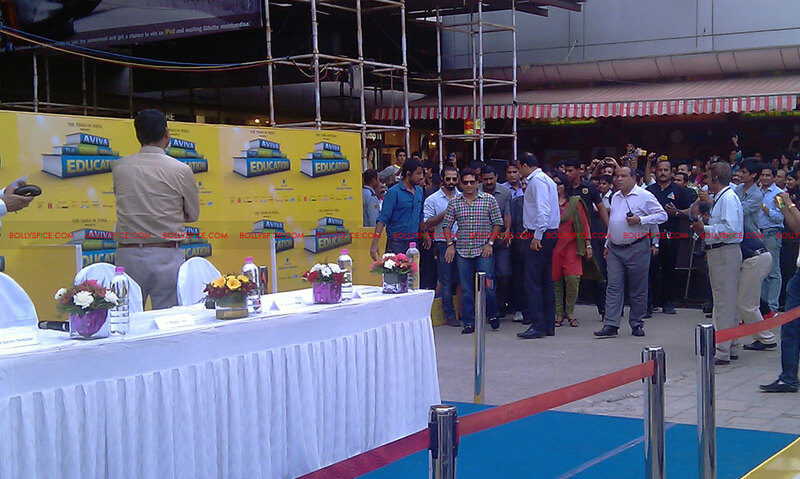 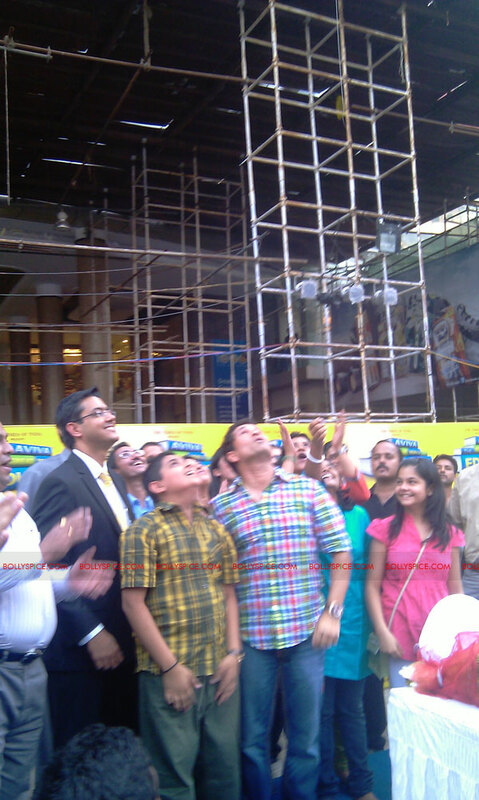 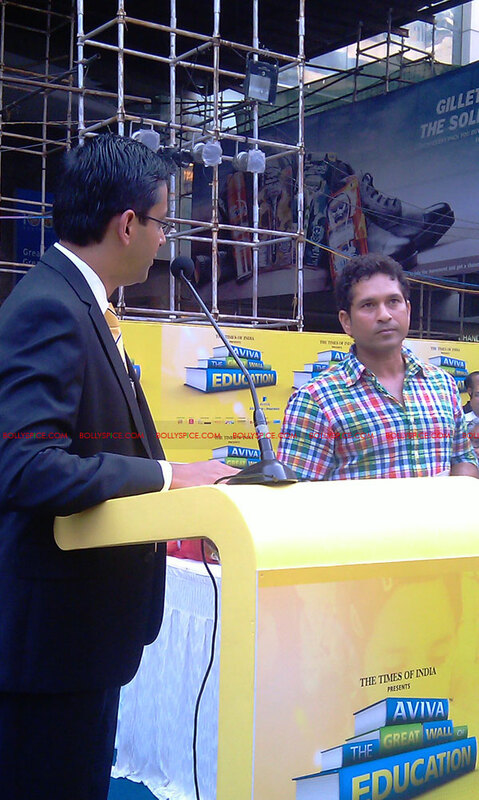 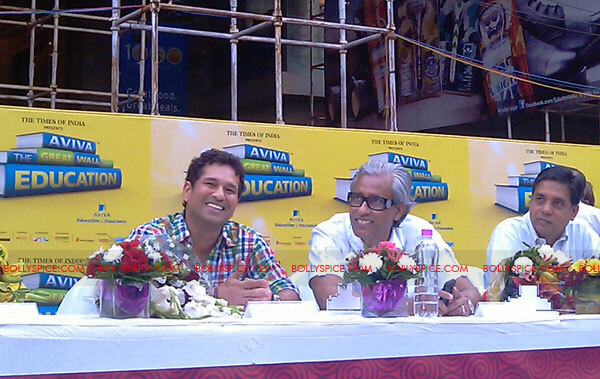 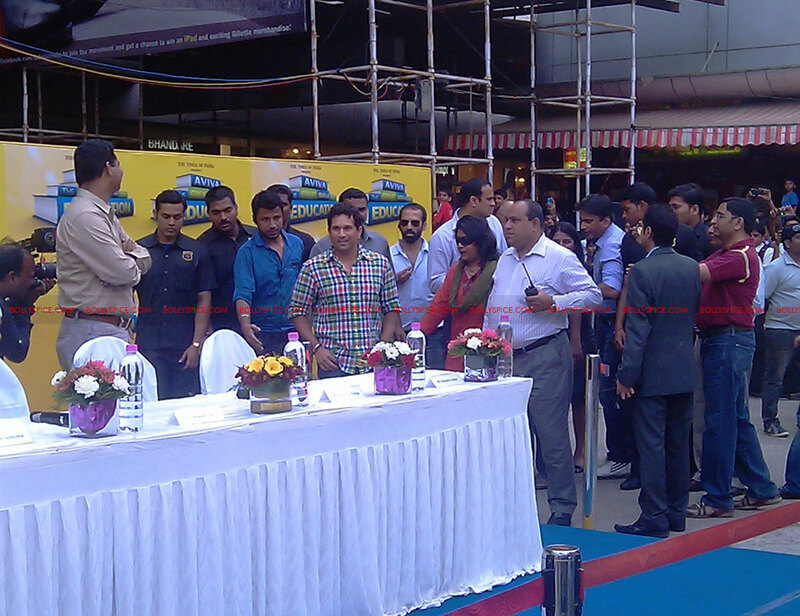 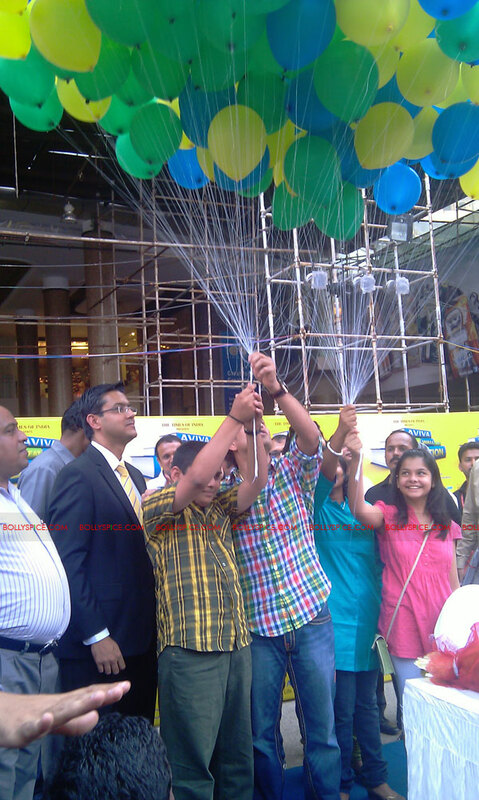 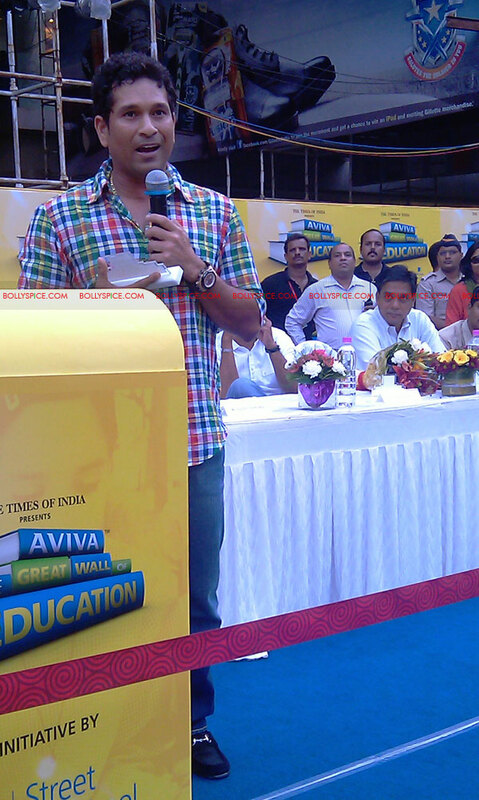 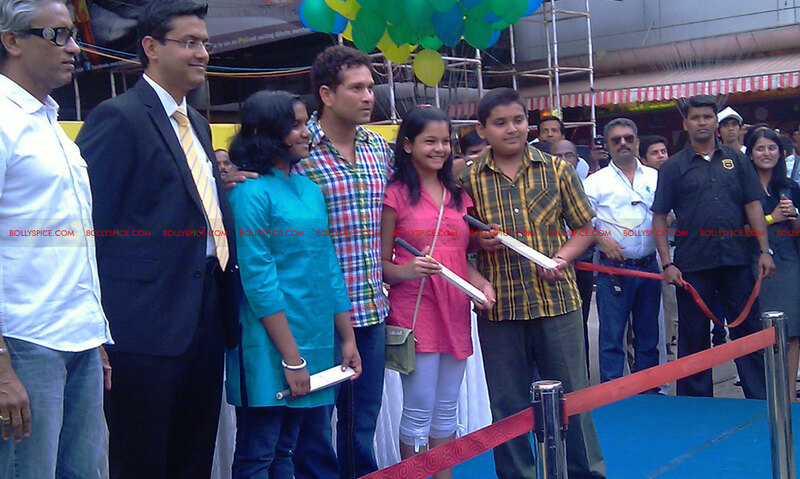 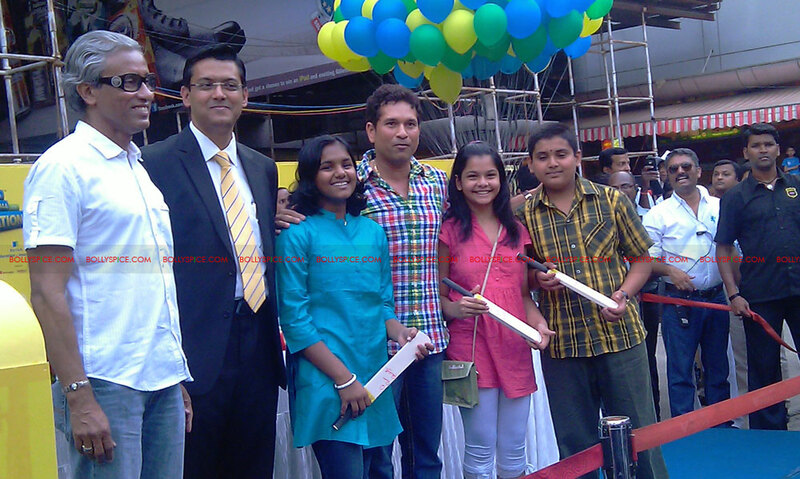 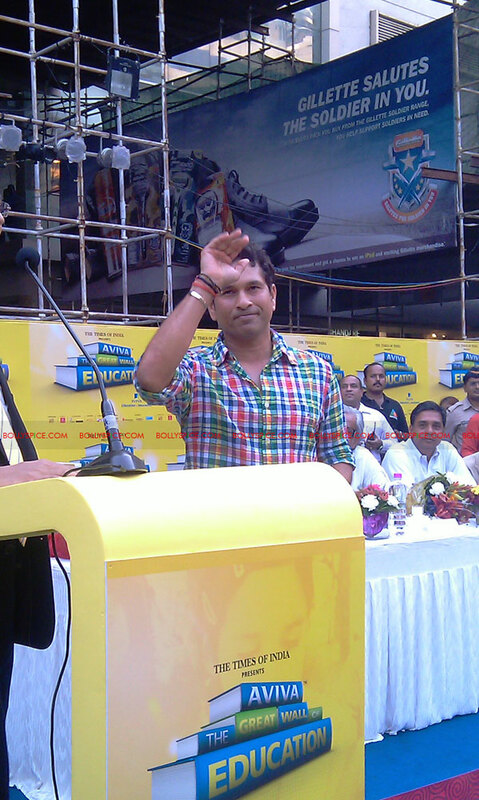 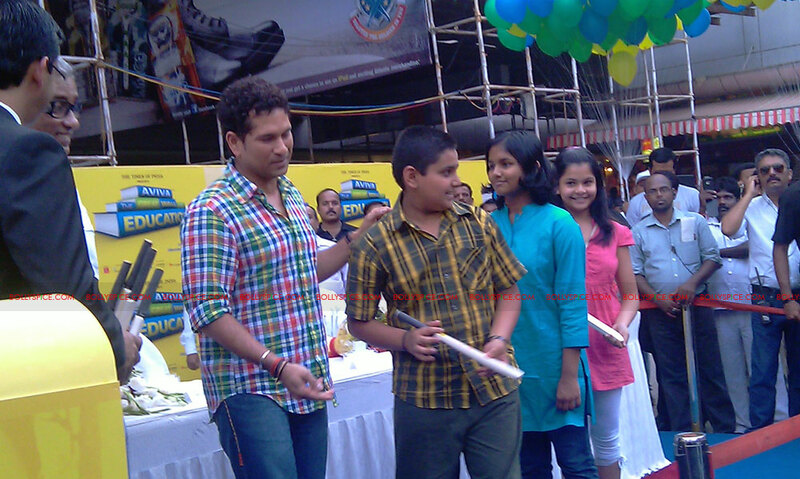 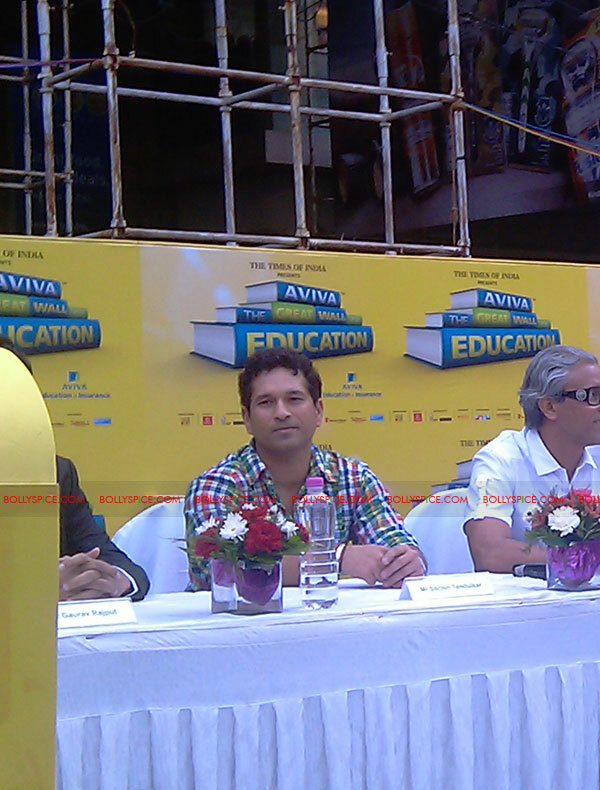 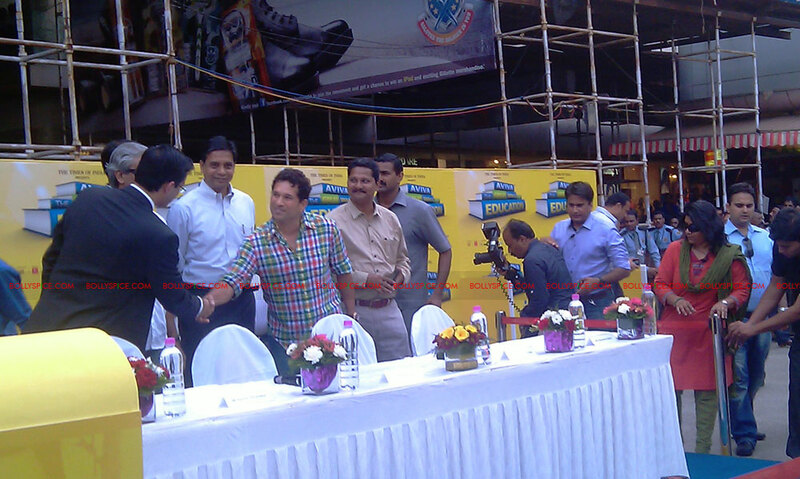 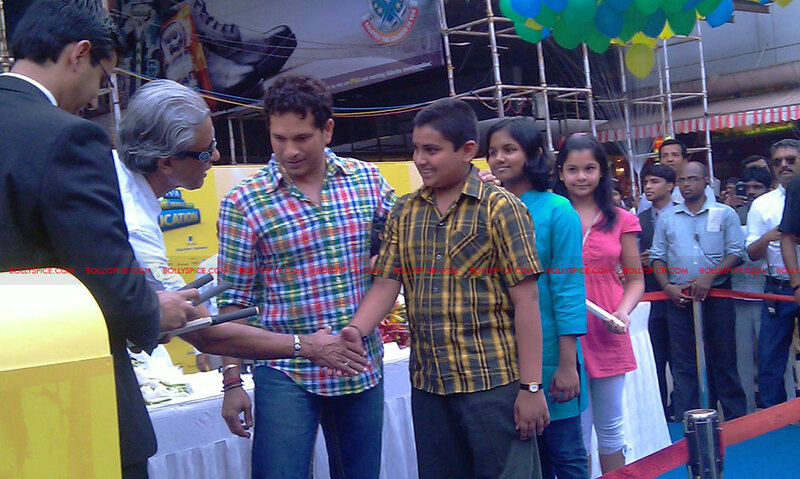 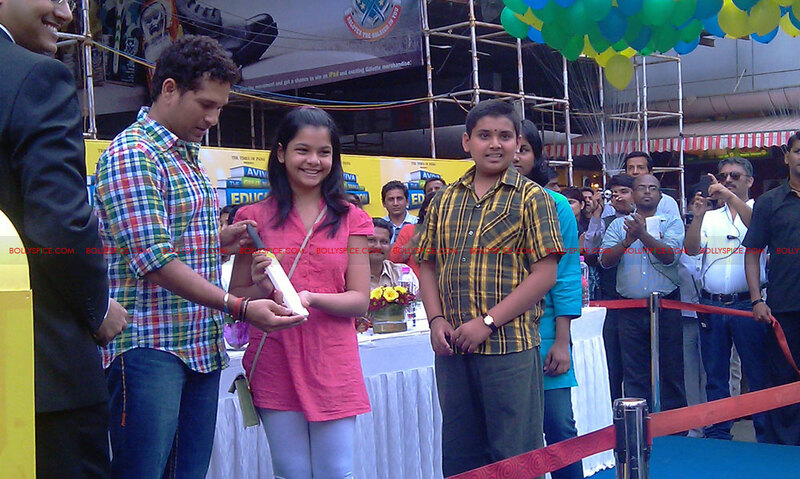 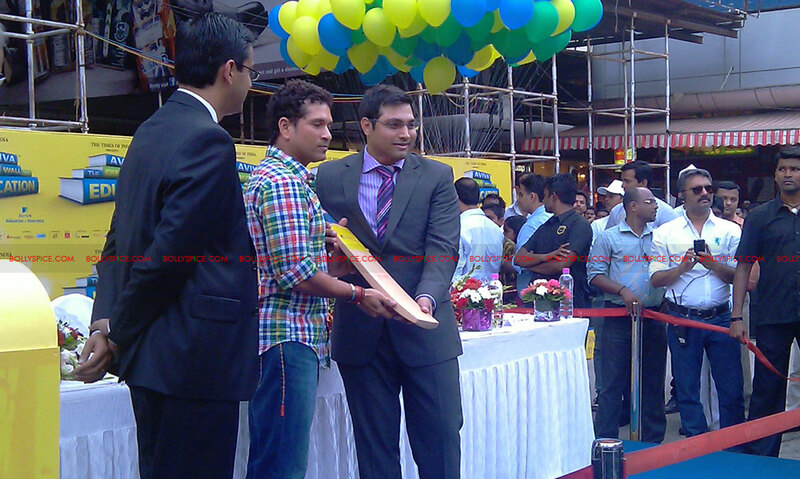 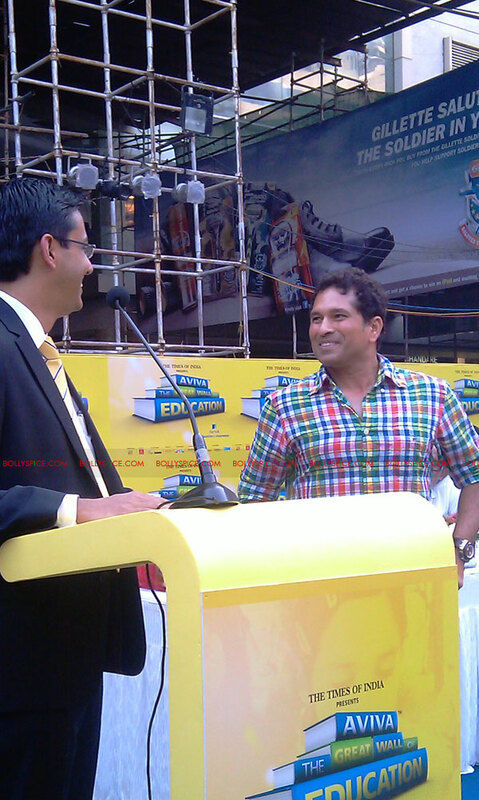 A special event was held for the grand finale of the “Aviva Great Wall of Education” at Phoenix Mills, Mumbai and was inaugurated by none other than Aviva Life Insurance’s brand ambassador and the Master Blaster himself, Sachin Tendulkar. 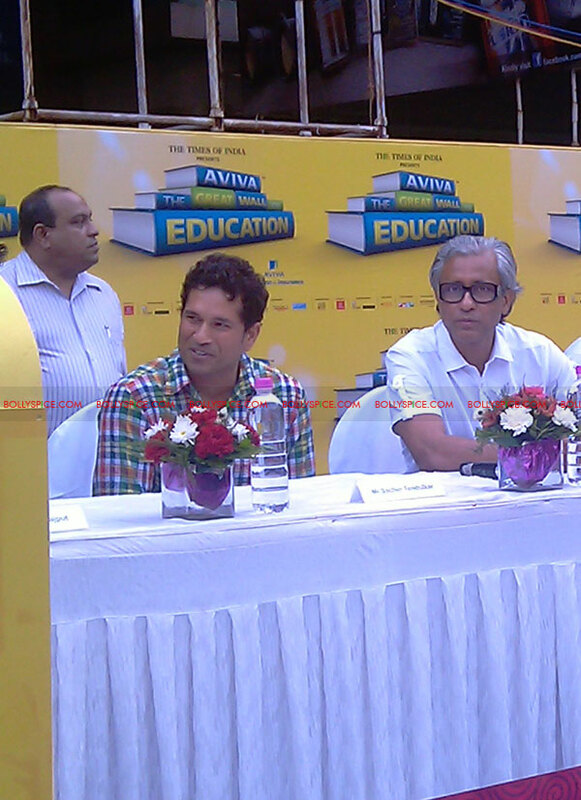 Also present at the event were Gaurav Rajput (Director Marketing of Aviva India), Samaresh Parida (Director Strategy of Vodafone), Rajendra Kalkar (Sr. Centre Director of High Street Phoenix) and Himanshu Giri (CEO of Pratham Books). 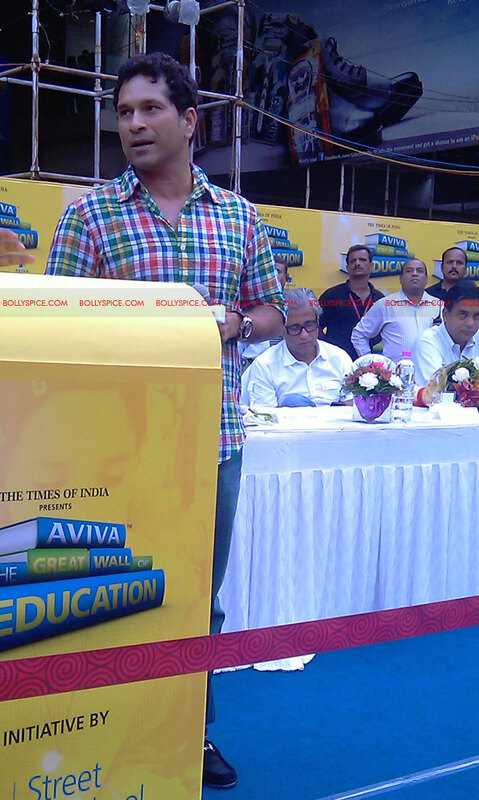 An initiative by Aviva’s Street to School program, Aviva Great Wall of Education is India’s biggest book donation drive for underprivileged children. 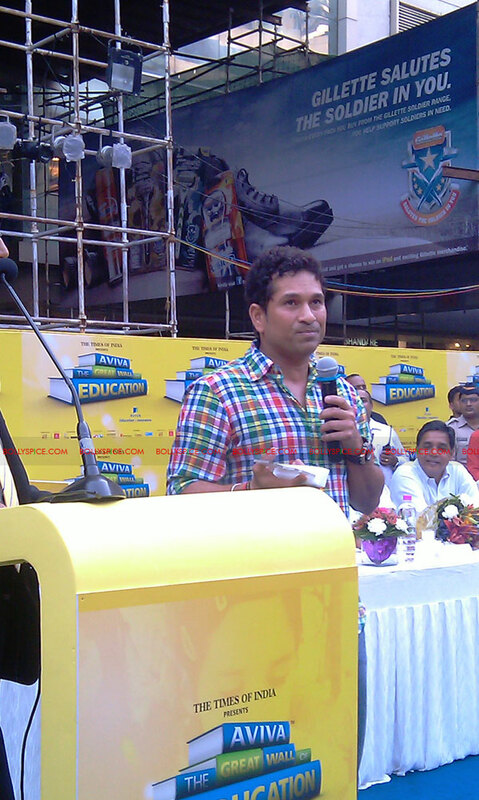 Over a million books have been collected over the last two years benefiting almost 5 lakh children across the nation. 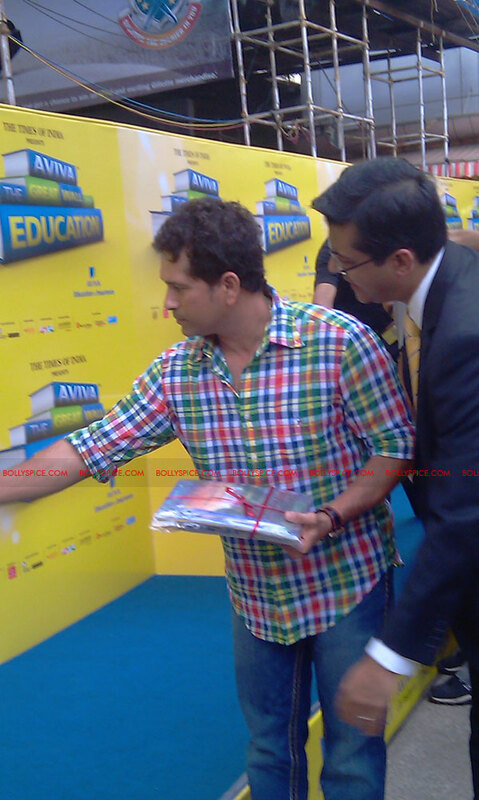 Sachin launched the event by placing his children’s books on the wall and said that, “Education is the key to a child’s future. 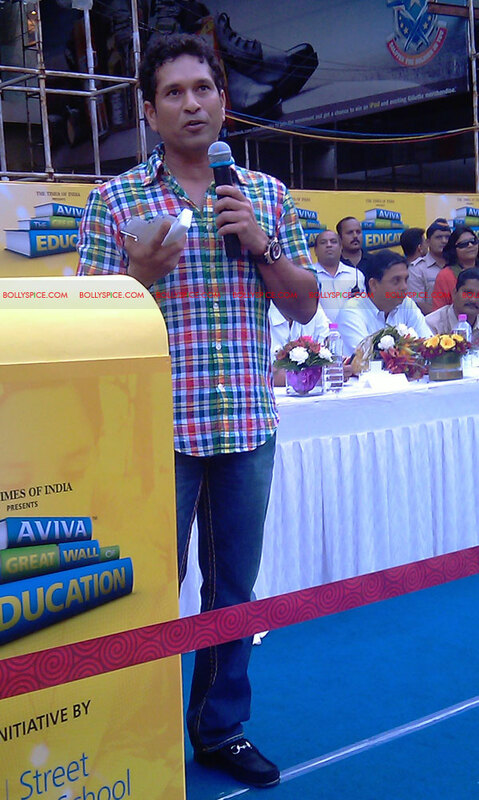 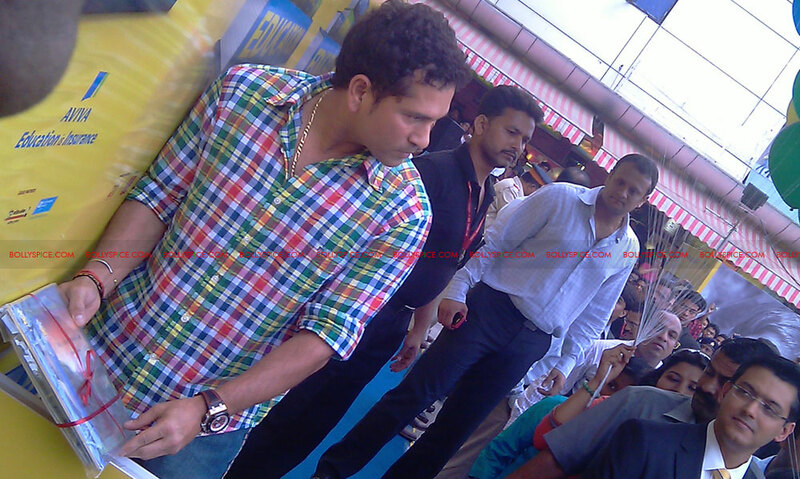 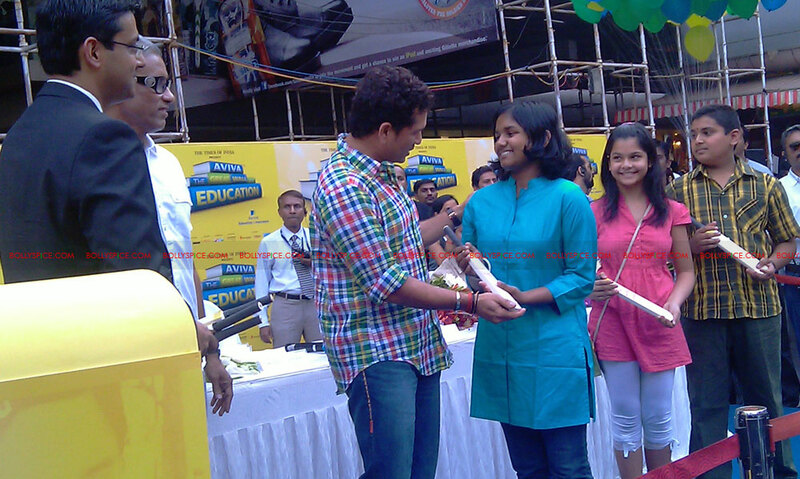 Aviva Life Insurance’s initiative to bring reading and books closer to more of our underprivileged children is a commendable step.” To the huge crowd that had gathered to have a glimpse of their favorite cricketer, Sachin appealed to them to wholeheartedly take part in the drive and contribute to the wall. 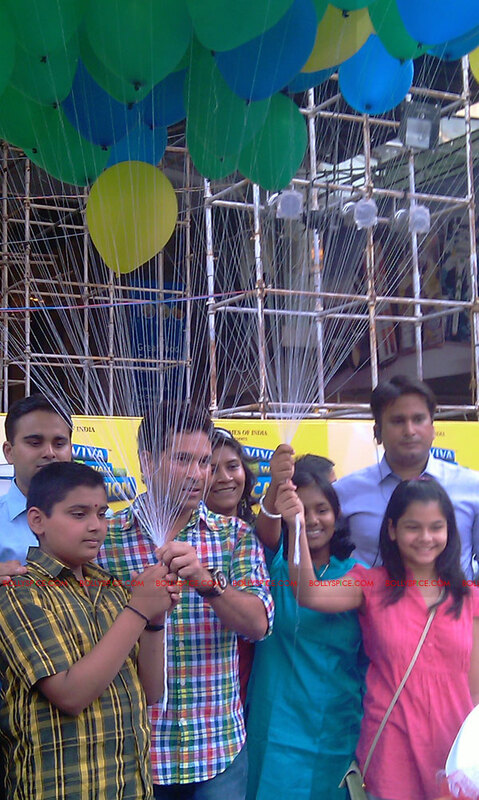 The donation drive that went on till 21st November was held in 10 cities – Mumbai, Delhi, Bengaluru, Kolkata, Chennai, Chandigarh, Lucknow, Ahmedabad, Cochin and Pune – where drop boxes were placed at different Aviva branches. 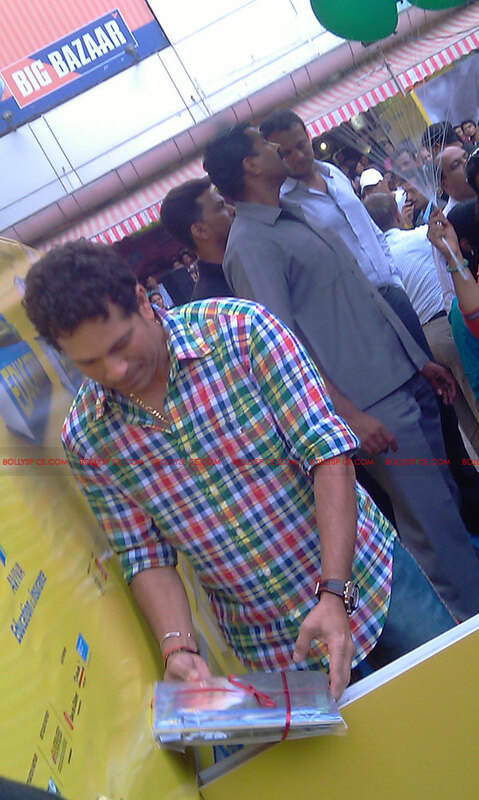 Along with Sachin, other celebs who have contributed to this drive include Abhay Deol, Shaina NC and A.R.Rahman – who donated a personally autographed copy of his autobiography. 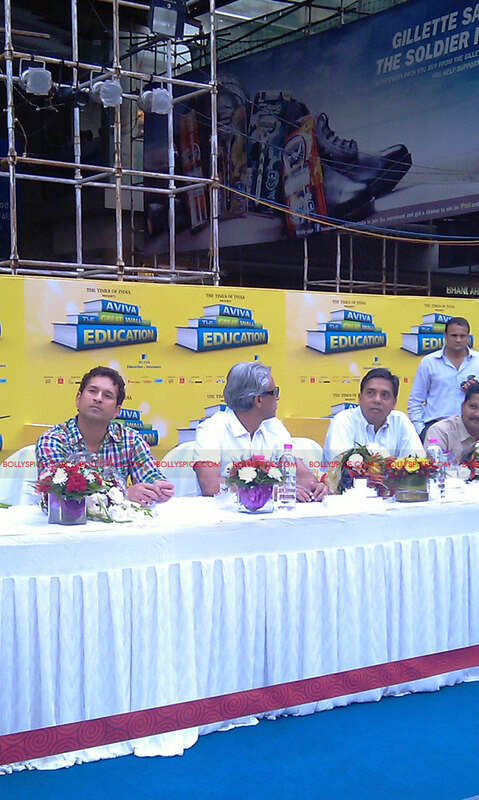 The initiative is powered by Vodafone and supported by High Street Phoenix (Lower Parel) as venue partner and Crossword and Pratham Books as book store partner. 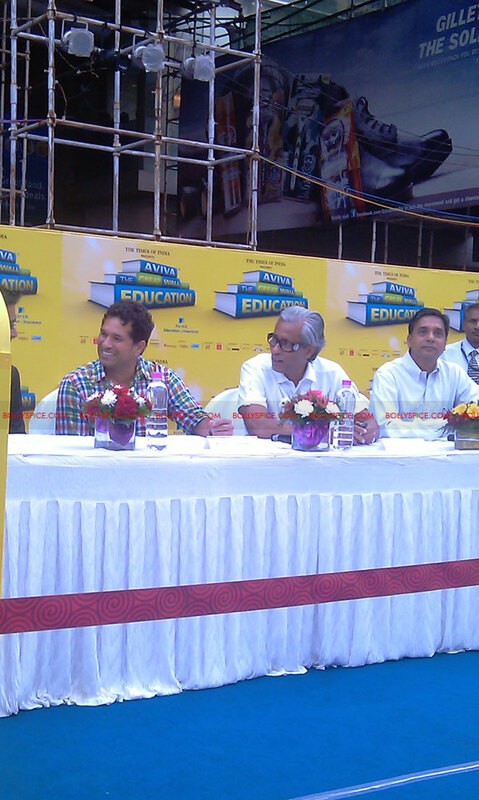 Vodafone users can donate books by just sending an SMS “BOOK” to 58910 to donate a Rs 10 book package. 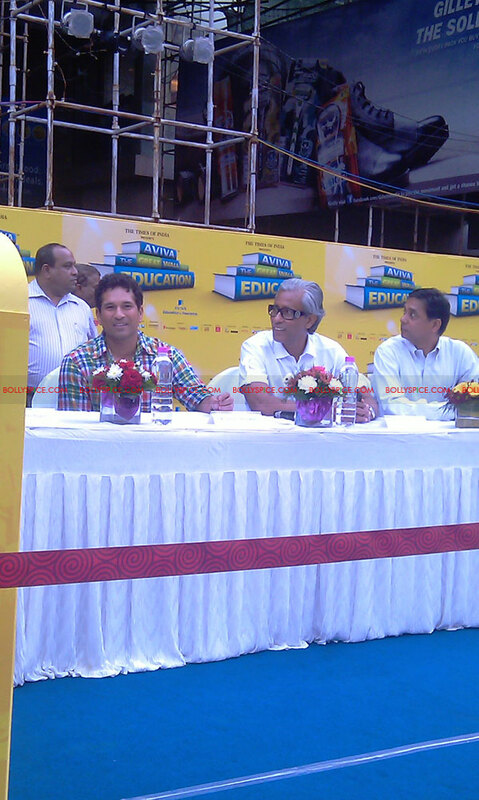 You can also donate online through www.educationisinsurance.com or www.prathambooks.org.